Join Sydney queer photographers William Yang, C Moore Hardy, Daniel Mudie Cunningham and Ann-Marie Calilhanna in this panel discussion exploring the role of photography in capturing the culture of Sydney’s lesbian, gay, bisexual, transgender, queer and intersex community. Revisit key moments in this rich and diverse history through the eyes of the iconic community photographers who captured them. 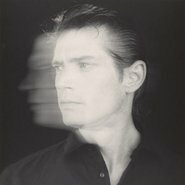 This special program is presented by the Gallery and the AIDS Council of New South Wales (ACON) in association with the exhibition Robert Mapplethorpe: the perfect medium in commemoration of World AIDS Day. Due to demand, bookings now required. Places limited.